The next PTA Meeting, at 7 pm on Wed., Oct. 26, in the Auditorium, will feature Dr. Russell Romeo (left), assistant professor at Barnard, discussing his research on the effects of adolescent maturation on brain and behavior. This presentation will highlight some of the unique ways that adolescent individuals respond to stressors and how the intersection of stress and adolescent development may represent a “perfect storm” in the context of mental health problems. Immediately after Dr. Romeo's talk will be a presentation by alumni on "Life After Hunter" (the first in a series of such sessions). 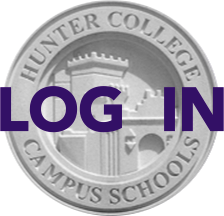 Dr. Betty Mintz HCHS '67 and Wall Street Journal News Editor John J. Edwards HCHS ’88 will discuss the influence of Hunter in shaping their points of view, intellectual pursuits, relationships and work lives and what they wish they had known in high school. The 6 pm Pre-Meeting will address "Late Stage College Financial Planning: Options to Cut College Costs." From merit scholarships to cash flow, financial aid, admissions and tax-reduction strategies, Todd Werling of Fox College Funding (right) will discuss strategies and resources. Click here for more info about this and future PTA Meetings and for bios of the speakers.